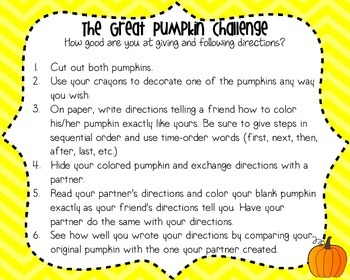 Looking for a fun way to challenge students to follow directions? 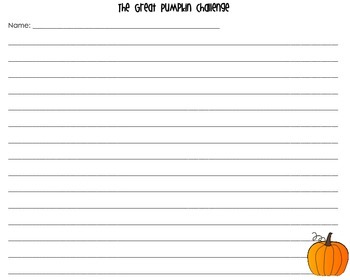 Try The Great Pumpkin Challenge. 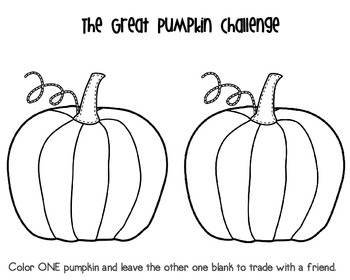 Your students will love creating their own pumpkin and trading with a friend to see if they can correctly duplicate the pumpkin with only the directions provided.